In Hindu dharma, Mahabharata is the greatest war of all time, and people have been calling it a myth. Perhaps, rightly so because the stories sound to be more of a fiction that a reality. The archaeological evidences have been unveiling in recent times, only though in a slow phase to provide some convincing evidences regarding the matter. From the Kurukshetra, the place where the great war happened, archaeologists have uncovered some iron arrows and spearheads with the use of thermoluminescence that dates back to 2,800 B.C.E., which is approximately the time when Mahabharata happened. 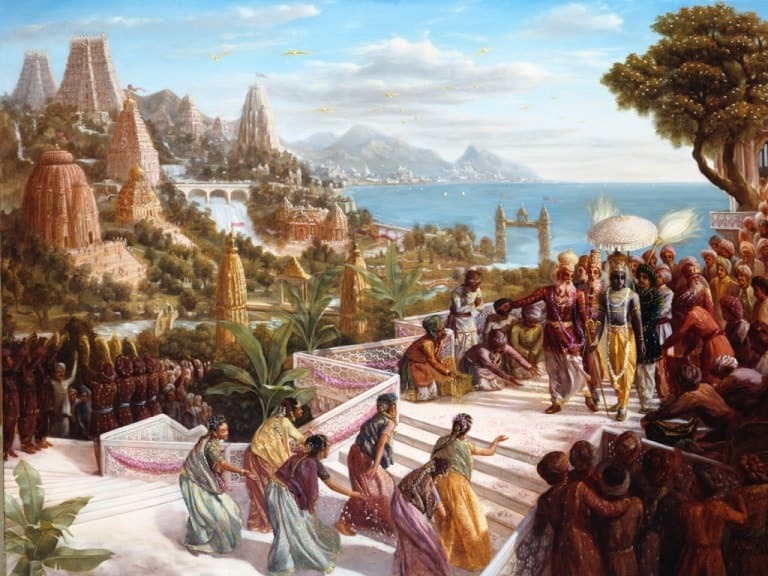 The epic talks about three cities – Paniprastha, Vanaprastha, and Indraprastha – provided to Pandavas after the exile. These cities now are Delhi’s Puranaqila, and archaeologists have found pottery and antiquities that corresponding to cultural and dating consistency with the Mahabharata period. These all verify the statements recorded in Vedic literature. 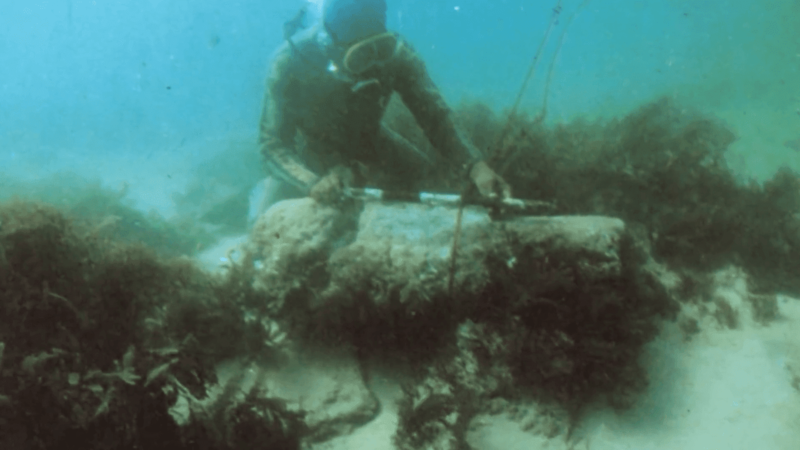 The marine archaeologists have found some massive fort walls, piers, the jetty in the ocean near the city of Dwaraka in Gujarat, all of which are in alliance with the descriptions in the Vedic scriptures that talk about Mahabharata. 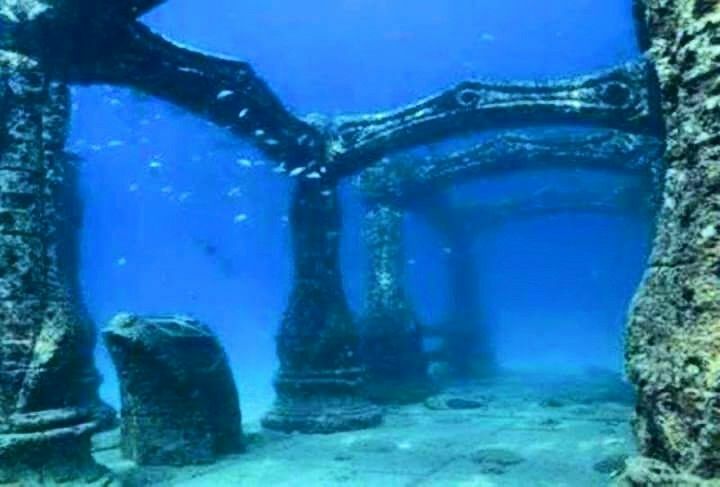 They have found the entire city submerged in the ocean, which is said to be the ancient port city of Lord Krishna. The discoveries in the ocean include the massive city wall of Dwaraka, the door socket, the bastion from fort wall, two rock-cut slipways of varying width, natural harbor, stone ship anchors. Moreover, the three-headed motif on the conch-shell seal found in the Dwaraka excavations also strongly refer to the scripture Harivamsa that says that every city of Dwaraka needs to carry a mudra or seal of the type. 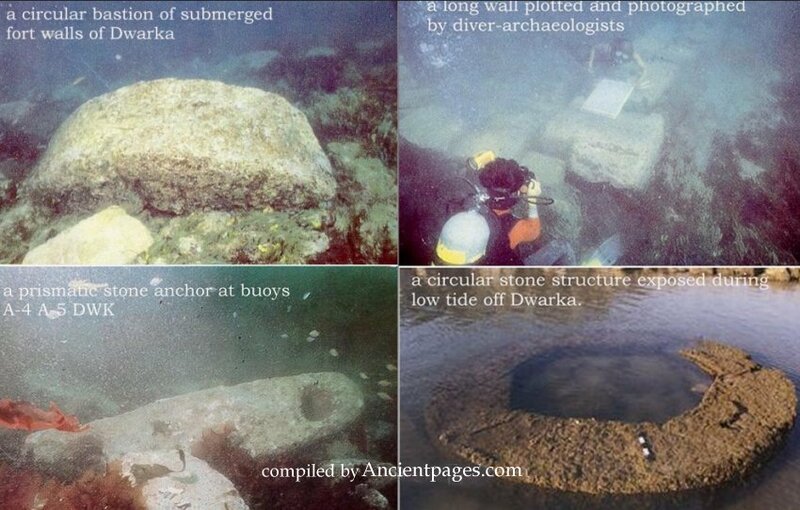 It’s not just the remains of Dwaraka that’s been found. More than 35 sites in North India have the archaeological evidences that describe the ancient cities in Mahabharata. Ornaments of gold and silver, iron, copper, utensils that date back to these times and the cultural significance related with the descriptions in Mahabharata have been found in these sites. It is also to be noted that India in the ancient times was also densely populated, unlike Turkey and Greece. This made it really hard for Europeans, even with their advanced technology and tech-equipment, to conduct archaeological surveys. 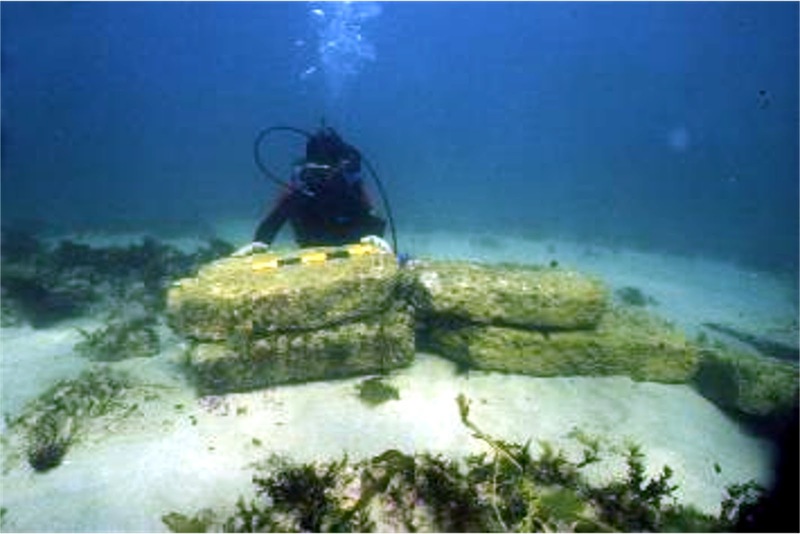 When they excavated the city of Atlantis in the Southern Spain, that was still an unused barren land, they failed to survey properly due to water pressure and other constraints. Considering that, doing their archaeological surveys would definitely have been difficult. i. “After Parikshit died in B.C. 3041 his son Janamejaya was crowned in. In the 29th year of his reign that is in B.C.3013-3012 or Kali 89, in the year Plavanga on Monday the-new-moon day at the end of Chaitra, he donated two villages to two religious institutions and the two gift deeds were prescribed. The first inscription is found published in the pages 333, 334 of the Indian Antiquary which clearly states that the gift of land for the worship of Sitarama made by Emperor Janamejaya in Jayabhyudaya Yudhistira Saka 89 means Kali 89 or B.C.(3101-81)=3012”. ii. Another copper-plate inscription that is preserved in Kedara Kshetra in the Himalayas is the same gifted inscription that was made by Emperor Janamejaya for the worship of Kedaranatha Swamy. iii. In the village of Iballi in Dharwar district, there is an inscription on the walls of a Shiva temple. It is said to have been carved in the direction of King Pulakesin II in 634 AD. iv. 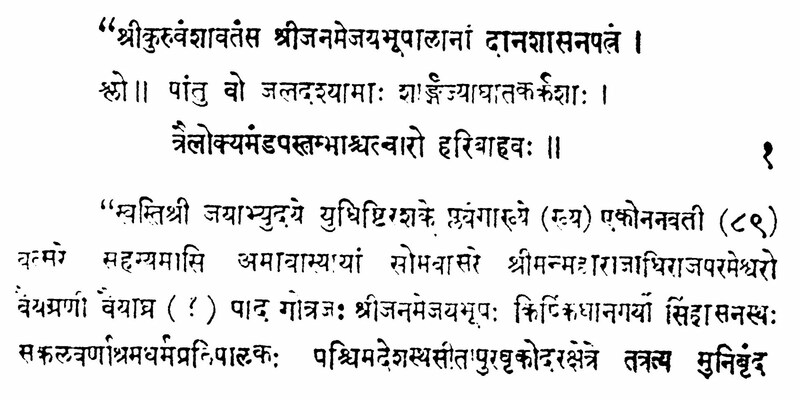 The copper plate inscription of Emperor Sudhanva also provides us some inscriptional evidence. He ruled over Gujarat and the inscription was a memorandum presented by Emperor Sudhanva to Sri Sankara. The year dates back to 2663, according to the text in the inscription. It is the year of the demise of Sri Sankara is 2663 of the Yudhishthira Era or B.C. 477-76, and that leads to the beginning of Yudhishthira Era, the time of the Mahabharata war. That time is already proven to be B.C. 3138. With the calculation, the inscription talks about the Mahabharata era.